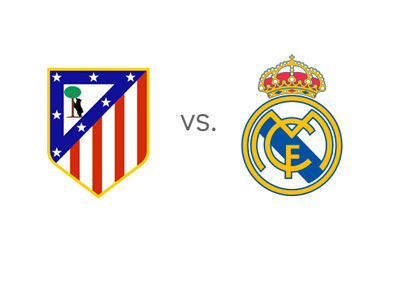 With six games to go in the Spanish La Liga, third place Atletico are hosts to second place Real Madrid at the Vicente Calderón Stadium in Madrid on Saturday, April 27th, 2013. Only three points separate the two sides in the league and the upcoming matchup is an important one. Atletico Madrid are coming off victories vs. Sevilla (0-1) and Granada (5-0), while Real Madrid are coming off a heavy defeat in the Champions League against Borussia Dortmund (4-1). Considering that Real have to play Borussia again on Tuesday, the question is if they will have enough energy and motivation to focus on the upcoming La Liga match. According to the bookies, this is going to be a close one. A $100 bet on Atletico brings $162 in profit if successful, while the same bet on Real Madrid brings $150 in profit. An interesting statistic is that Atletico have not beaten their local rivals in the last 14 years. Is this the year to do it? Earlier in the season, on December 1st, 2012 at Santiago Bernabeu, Real Madrid beat Atletico 2-0 with goals by Mesut Ozil and Cristiano Ronaldo. The two teams are meeting again on May 17th in the Copa del Rey final. Update: Cristiano Ronaldo will miss Saturday's match vs. Atletico due to a slight left thigh muscle injury.